A simple Father's Day gift doesn't do justice to a tight bond between a daughter and his dad. Dads are a daughter's first love, so is fair for you to take a little bit of time and reading to find a unique and meaningful gift for your pop. Your father has really given the whole parenting thing 110 percent, so we know finding something that can adequately express your gratitude is never easy. This June, celebrate fatherhood and parental bonds with these perfect present picks for the best dad in the world. If you are tired of seeing your dad tear the whole house down looking for his keys, just to find out they were in his pockets, don't you worry, all of us go through the same horrible situation. Just imagine having a stylish and helpful product to avoid this to happen. Help him keep his home stylish and tidy with the Capra Magnetic Leather Key Holder. This wall organizer is completely covered with leather including the keychain pieces. However, underneath the leather are powerful magnets that will keep the keys in place so he'll never lose them again. You can customize the keychains with his initials monogrammed on it. Also available in color Tobacco. Let's face it, one old-fashioned dad won't be complete without a pair of glasses, but this doesn't mean his spectacles have to be out of style. Give it a push on the way to look great with these fashionable glasses made from thin, light, impact-resistant polycarbonate by Warby Parker. 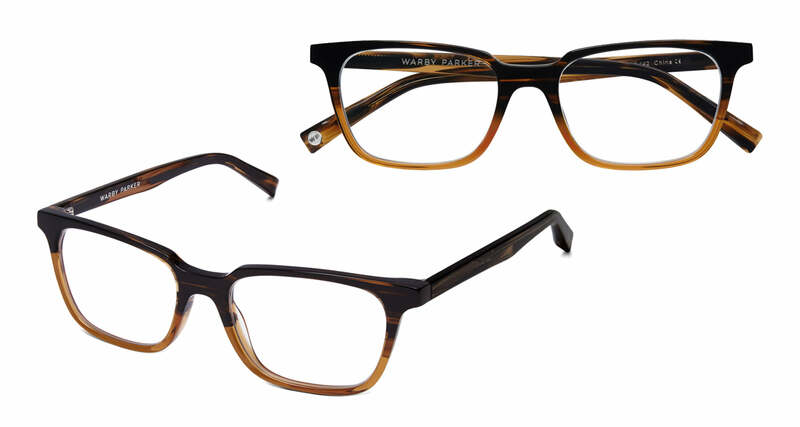 The Bernett is a wider-fit frame with perfect proportions and easygoing, squared-off shape. The best part? the price includes prescription lenses, so you can help your father see even better. These standout frames are ideal for that special pop who likes to make a statement. If your dad already spent more than $100 on some reading glasses and another $200 in some spectacular sunglasses to protect his eyes in the beach, the most likely thing is he really wants to avoid any scratches and the most important, spending other $300 or more replacing those pairs. If so, this Double Glasses Case is for him. 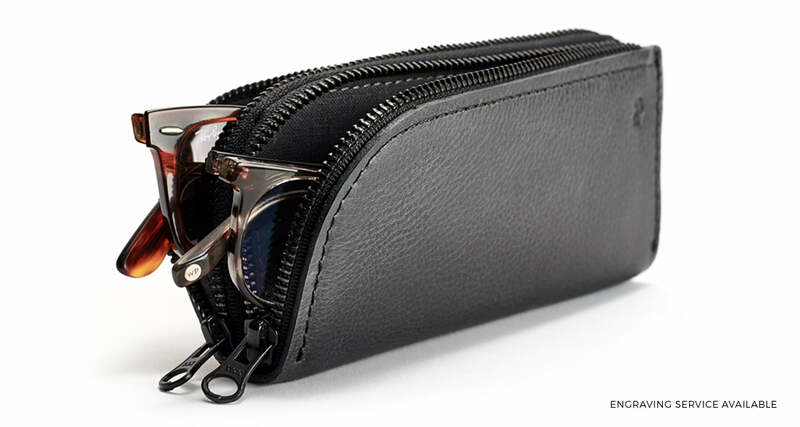 This glasses case is not like any other, the great thing about this product is that you can carry both pairs of spectacles with you and it has a 100% linen interior that protects your fancy eyeglasses. Make this product his own by engraving a custom name on the leather surface. Designed for those whiskey connoisseurs fathers that want to show off their gifts in reunions. What a better way to do that than giving them a luxurious set of handmade pieces with clean, contemporary lines for a modern interpretation of traditional whiskey drinkware. This unique set is presented in luxury, premium packaging to make an exceptional gift for discerning whiskey drinkers. 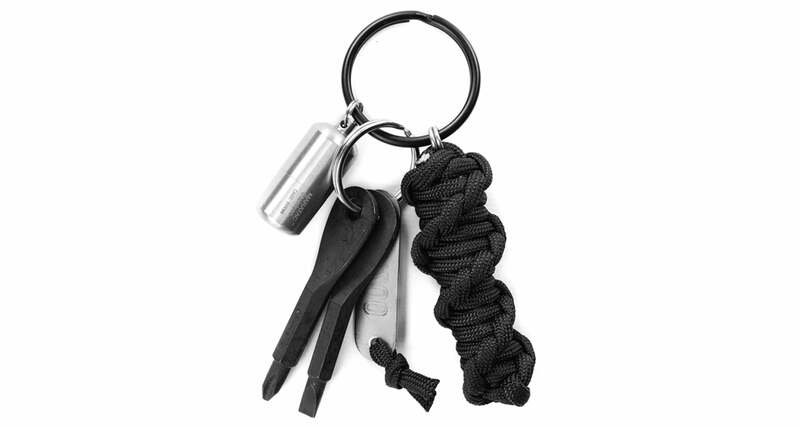 Whether your dad is a passionate fisherman or he prefers to spend his time in the wilderness hiking and camping in the bush, a paracord pod EDC kit offers a subtle comfort when it comes to unwinding successfully on the outdoors. With over 4 useful outdoor items wrapped into a handy kit, this EDC is low-key in style to suit work and play and small enough that won’t burden him on the go. This gift will be functional enough to merit a spot in your father's daily setup. If your dad is like those who chose to spend their free time traveling to new places, but he can't forget his watches at home, because he loves to look like a professional everywhere he goes, we have the perfect gift for him. A neat-looking leather roll that stores watches and small accessories in a tight package, offering a worthy storage solution for the classy traveler. This leather pouch can be customized by selecting the number of compartments, so you won't worry if you pop is a crazy timepiece collector, you can add up to 6 pockets for his watches, plus an elegant monogram that says he owns that amazing leather good. Also available in color Tobacco and Black. Make him feel the nostalgia from those good old days with this record player. The Debut Carbon will let him play his LP records while delivering consistent and rich sound. 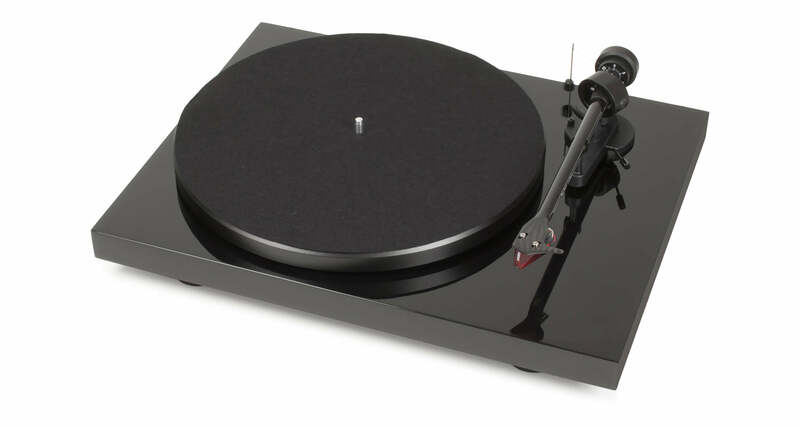 Your audiophile dad will be more than happy to relive his best times with this record player. Plus, Its black elegant finish will make of this device a great addition to any room, so he can add an authentic touch to his living room. Your father already did the hard work, and spend the majority of his days working, so he deserves a little rest from those busy times. Give him the chance to relax in bed when he is too lazy to get out to turn the lights on or off. 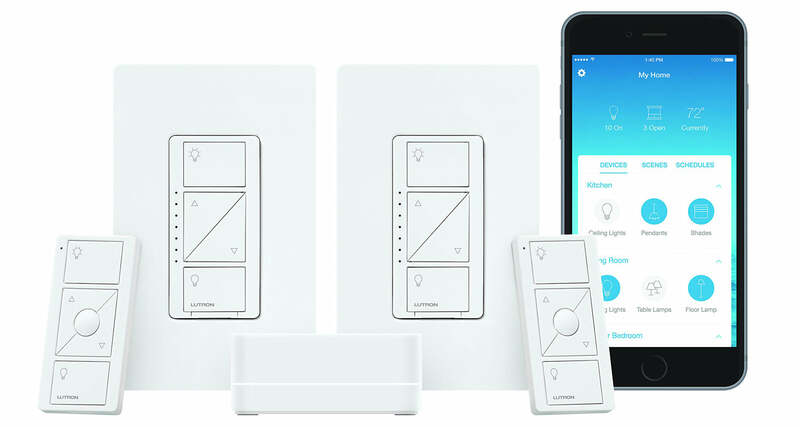 The Lutron’s Caséta Dimmer is a four-button in-wall light switch with both on/off and dimmer controls built in, but the real fun part comes in the form of a wireless remote control that offers the same functions and which he can put just about anywhere. What would be of those Saturday's afternoons padding around the house without a good pair of slip-ons. Having beautiful and durable slippers for strolls and leisurely activities is an important feature in a dad's wardrobe, so you can give him the perfect gift that'll keep his toes nice and toasty. 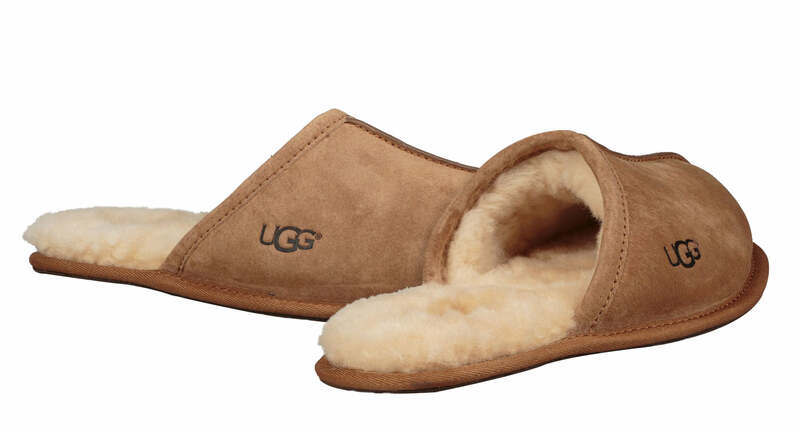 This UGG Scuff Slipper has an impressive appearance, featuring a pig suede upper and dyed sheep fur. It is designed with a leather sole for durability and vamp lined sole with UGG’s pure wool for a catchy look. If you are tired of seeing him with that old-fashioned unwieldy big wallet, it's time to give him a reason to get rid of it. A slim wallet is all he needs without sacrificing the looks. This men's leather wallet is handcrafted and sewn together with full grain leather and has plenty of inner space for credit card and bills. Also available in color green, marron and tan. Also available in color Black, Green and Marron.